Gruyaches maybe a harsh sounding name but the vines are ancient and the wine is brilliant. There is a very classy nose here, ripe enough but perfectly balanced with plenty of energy and occasional citric notes. Despite a very complete finish, this needs time in the cellar, and should keep extremely well. 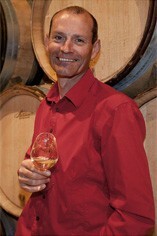 Jean-Philippes crop is down from 30 to 40% after the cold and wet flowering, but he is very happy with the quality. He started picking on Sunday 19th September and had finished before the rains came the following Friday. This is a domaine which has been consistently reliable in recent years, delivers excellent value for money and enjoys much deserved success. 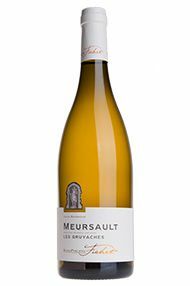 The Wine Advocate - The 2010 Meursault Gruyaches caresses the palate with expressive white and yellow stone fruit, smoke, ash, slate and graphite. The depth and centeredness of the 2010 are quite striking. Mineral notes cut straight through the fruit, yet this remains a round, sensual wine with considerable early appeal. This parcel was planted in 1928. 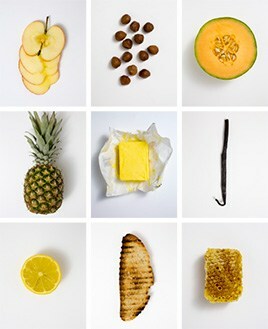 Anticipated maturity: 2012+.